The claim that Canada’s participation in World War I or Korea was and is not controversial is a striking example of a supposedly progressive organization accepting the establishment’s version of Canadian foreign policy history. Fifteen million people were killed and another 20 million wounded in the conflict between rising imperial power Germany and leading colonial powers England and France. With both sides entrenched, the western front of the First World War barely moved from September 1914 to July 1917. Millions of young men lost their lives fighting over a few kilometers of territory. Among them were nearly 60,000 Canadian soldiers. Another 150,000 were wounded. In August 1917 Robert Borden’s government passed the Military Service Act. The conscription of young men sparked widespread dissent, particularly in Quebéc. On the west coast, police forces tracked down and killed anti-war labour leader Ginger Goodwin after he refused to fight. If involvement in this barbaric affair is not considered controversial what is? Ceasefire.ca’s acceptance of the elite version of history is harmful because it obscures the imperial interests that have motivated Canadian foreign policy. It also erases decades of international solidarity and anti-war activism that has, to some extent, civilized the Canadian military. Last year’s bombing of Libya and the ongoing war in Afghanistan may help illustrate the point. These conflicts have caused significant suffering yet they haven’t been nearly as destructive as the war in Korea. But the Canadian military didn’t simply discard their most violent methods. Instead their actions have been constrained (to some extent) by anti-war and international solidarity movements. 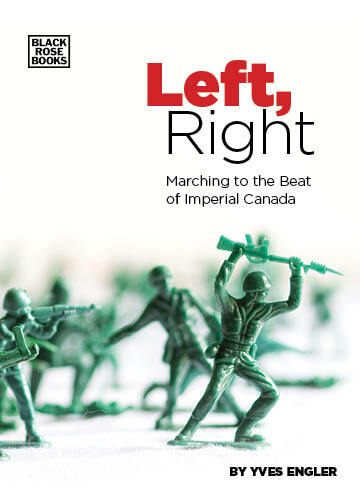 Perpetuating ignorance of our military’s history has the effect of weakening the movements struggling valiantly to civilize Canadian foreign policy. It’s akin to erasing the role of unions in restricting child labour, dangerous working conditions, long working hours etc. The labour movement builds its strength by pointing to these gains and the same should be done by anti-war and solidarity organizations. Instead of promoting a sanitized version of Canadian military history, anti-war groups would do better by helping the public understand the role struggle and protest has played in lessening the military’s worst excesses. Ultimately this knowledge will do more than anything to help fuel campaigns to build a sense of collective humanity.